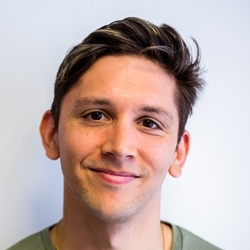 In 2011, Gary Foulkes left his job as sous chef at The Square to embark on a three-year odyssey around the world. His tuna tartare dish takes unusual ingredients discovered in Japan and balances them with expert precision to create something unique and beautiful. Most of us are familiar with the concept of a tuna tartare by now, but it’s not as old as its surname might suggest. Steak tartare can be traced back at least as far as the early twentieth century, but tuna tartare is very much a child of the eighties – allegedly the invention of Japanese-born, French-trained chef Shigefumi Tachibe, who rustled one up on the spot at his Beverly Hills brasserie when a table of six turned their noses up at the prospect of raw beef. The dish caught on like wildfire, and it has become a staple of restaurant menus ever since. 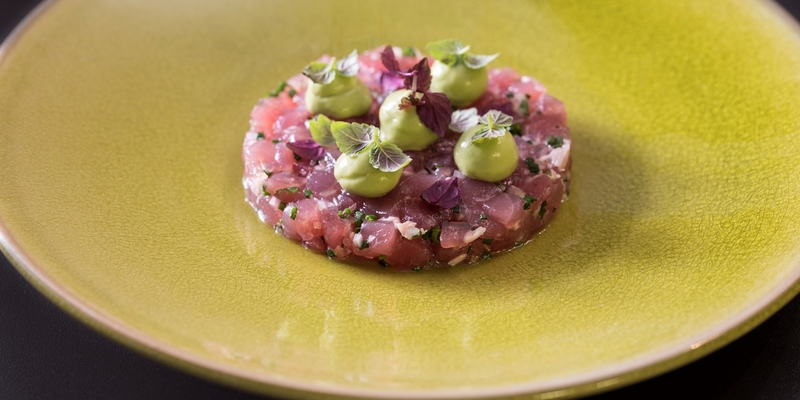 In many ways, tuna tartare has become a benchmark for accomplished chefs – a good tartare requires a delicate touch, an expert palate and a real respect and appreciation for quality produce. Gary returned to The Square and spent three years as head chef at the two-Michelin-starred restaurant before striking out on his own at Angler. The tuna tartare on his menu takes inspiration from his time in Japan – a country that completely changed his outlook on food. The foundation of Gary’s tuna tartare is of course the tuna, and though freshness and quality are still paramount, sustainability is also a huge factor. 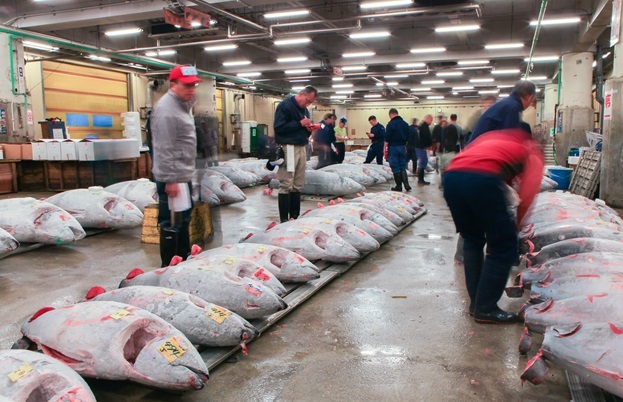 Bluefin tuna are hugely coveted for sushi and sashimi in Japan. As a result, they are still seriously endangered, so Gary uses yellowfin tuna, which is much more plentiful. Through that, Gary mixes purple shiso vinegar and white soy sauce. Purple shiso is a unique, aromatic herb – part of the perilla family – that is commonly used in Japanese cooking, famously to add a vivid scarlet hue to umeboshi plums. Gary uses shiso vinegar to give the tuna a nice herbaceous acidity, which is offset by the delicate nature of the white soy. ‘White soy isn’t as harsh as your traditional soy sauce,’ he says. ‘It has a higher wheat-to-soy ratio, so it’s a little lighter in colour and flavour but still gives you that umami hit without being overpowering.’ The white soy also seasons the fish without curing it and drawing out moisture, as salt would do. On top, little dots of avocado purée have a little hit of wasabi hidden within, and a flourish of shiso cress ties everything together. ‘I think avocado is delicious with tuna,’ he says. ‘It’s not a Japanese thing, but I really like that combination – and avocado is delicious with wasabi too. 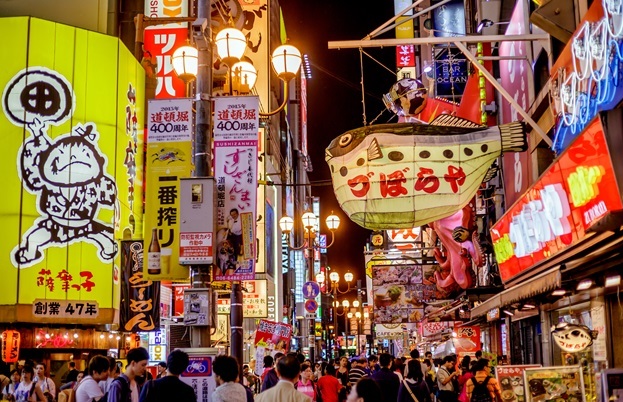 It’s a combination of things I’ve seen and things I like to eat!’ If a pilgrimage to the tuna auctions of Tokyo seems a little out of reach, a trip up to Angler is definitely the next best thing.